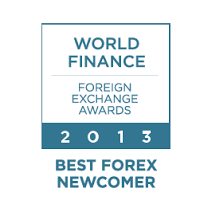 FxEx is brand name of one of the most respected online Forex trading firms in the industry. We offer you WebTrader, MetaTrader MT4 & MT5, the powerful and superior online trading platforms, and the proper tools to trade Forex, Spot Oil, Spot Gold, Spot Silver, Futures & Commodities, Equities, Options and Bitcoin. FxEx and its talent staff are committed to provide innovative currency trading technology, fair dealing practices, and excellent customer service as a major force that traders look to for advanced Forex charting, Forex news, and fund safety. We promise that we provide you with the tools you need to compete in today's financial markets. In addition to Forex, FxEx offers trading in indices, shares, and commodity CFDs, Bitcoin as well as options on most products. FxEx maintains strict compliance policies in all aspects of it's business to ensure that we are up-to-date on our regulatory obligations. 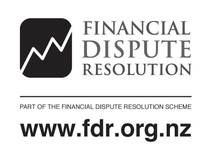 In keeping with those policies, our parent company, FxEx is duly registered as a Financial Service Provider in New Zealand, and maintains a membership with an approved Dispute Resolution Scheme to further protect it's clients interests. The most important factor in the financial industry. Client funds held with FxEx are maintained separately may never be utilized for operating expenses. In the unlikely event of FxEx's bankruptcy, client funds are legally protected and returned directly to the customer. FxEx offers a fully government regulated funding solution as member of Dispute Resolution Scheme for Financial Service Providers. FxEx takes pride in providing customers with quality, value, excellent service, and customer support. Your satisfaction is of the utmost importance to our customer support and service staff. Looking forward, we are committed to growing, and expanding our brand. ​FxEx will continue to provide products and services that exceed your expectations for quality, consistency, and transparency. It is my personal promise that FxEx will maintain its commitment to you, the clients who made our success possible, by continuing to create products and services that we can all be truly proud of. It is our goal to empower traders by giving them real trading tools, so they can excel. ﻿What is causing the currency volatility? Here you can find the full guide to everything that has an impact on the currencies. IS THERE A RISK OF LOSING MONEY? TO LOSE ALL THE MONEY FROM THE ACCOUNT IS IMPOSSIBLE, SINCE THE TRADER ADHERES TO STRICT RULES OF CAPITAL MANAGEMENT (MAXIMUM TRADER HAS THE RIGHT TO LOSE 10% OF THE CONSERVATIVE, OR 20% OF THE MODERATE STRATEGY), IT IS LIKELY THAT THERE WILL BE SUCCESSFUL AND NOT SUCCESSFUL PERIODS (MONTHS). MOREOVER IF YOU CHOOSE OUR PLATFORMS, THEN YOU WILL BE ABLE TO LIMIT THE RISKS (e.g. 20% OF DEPOSIT)..
﻿IS IT SAFE TO WORK WITH YOU, WHAT ABOUT SAFETY OF FUNDS? ﻿WHAT IS THE EXPECTED RETURN ON INVESTMENTS, ASSET MANAGEMENT? Here you get answers on some of the most frequently asked questions to FxEx.net. You can also ask questions if you want to know anything related to forex trading or currencies in general. Also check out the forex glossary if you want to have definitions of important words. Backtesting is a process which allows you to test the success of your forex trading system with historic market data. The spread is the difference between the buy- and the sell price, mostly denoted in number of pips. PIP stands for “Percentage in Point”. A pip in currency trading is 1/100 of 1%. When you trade forex online, the price is typically denoted with 4 decimals. What is an Online Forex Broker? A forex broker is the English word for currency broker. Forex brokers can be equated with banks helping or allowing companies and individuals, foreign exchange. When is the currency market open? It is possible to buy foreign exchange from Sunday night (22:00 GMT +1) to Friday night (22:00 GMT +1). 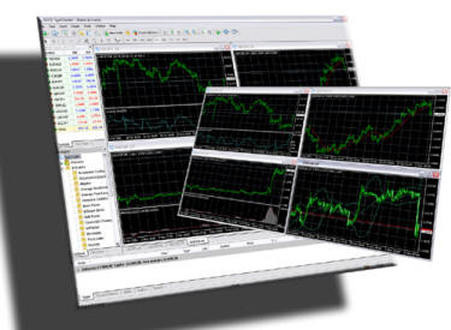 Back testing is a process where you test your forex trading system by using past market data. Scalping is a way to trade currencies to profit from a currency pars high volatility over a short period of time. Currency Traders who use Scalping often exploit high leverage and invest in less than 10 pips within a couple of minutes. Using Forex Scalping strategy which is often regarded as a dangerous method of professional currency traders. A margin call happens when a foreign currency account no longer has enough money to keep open positions available. This often happens when a newbie has too many losses in a row and then have too many open positions at the same time. Make sure to never to leverage more than 20 times the money and you’re relatively safe. Are there any forex words you do not understand the meaning of? In our forex dictionary you find answers for difficult words that may need a short and simple explination. against various currency crosses. For instance, you can trade USD against both GBP and JPY in order to take home some risk free profits. A common term used in international forex platforms. Means that you are willing to buy or sell at the best rate in the market right now. This type of order can be an alternative when there is low volatility and no big news are about to effect the currency rates. Probably the most used chart in forex trading. Consists of four points; high, low, opening and closing rate. The highest and lowest exchange rate forms the vertical bar in a intra day graph. Then we have the opening price, which are marked by a horizontal line to the left of the bar staple. Finally, there is the closing price, marking a horizontal line to the right of the bar staple. The first currency in a currency pair, which show how much the base currency is worth in terms of the other currency in the pair. A period of downgoing prices in a currency pair. A forex broker or forex brokerage acts as the middle man between one purchasing currency and one selling currency. transferred through a trans-atlantic cable between USA and UK in the beginning of the 19th century. Usually a government that create a currency and administrate fiscal policy, such as open market operations and keeping a currency reserve in other currencies. Exempeles of central banks are the Federal Reserve (FED) in USA, Bank of England (BOE) in UK and European Central Bank (ECB) in EU. The money used by a country. Each currency has a value relative to others for forex trading. A currency exchange deal that automatically renews at 22:00 GMY each night until it is ended. The date a contract matures and the transaction is settled by exchanging currencies. A weighted basket of all the European Community currencies. Created by the European Monetary System to eventually replace individual currencies. The price an option can be exercised at. The potential for profit or loss due to market fluctuations. The official rate set by monetary authorities for a currency. Central banks will intervene if the rate fluctuates too far. The buying or selling of one currency against another. A contract with a date in the future for delivery of a specified currency if not liquidated before the contract reaches maturity. Analysis based on news, current events, economic and political factors and global events. Difference between Friday’s close and Monday’s open price in forex markets. A total measure of a country’s output, income and expenditure. It is a statistical concept that is an important forex indicator. An order to buy or sell currency at a fixed price. It remains in place until it is either executed or cancelled by the client. Transactions designed to protect an existing open position if the market moves in the opposite direction. A deposit required by a broker before trading occurs. This protects against default by the client. The potential loss that can arise from interest rate movements. Slang term for traders that operate on short-term fast profits and will not usually leave open positions overnight. Composite macroeconomic indexes that predict future changes in economic growth and business activity. Order to buy or sell at a pre-defined rate or one that is better during a defined period. The capacity of a market to handle large transactions without it leading to major changes in currency and interest rates. A market position where the client buys a currency they did not previously have. Amounts of units of money. Usually it is a multiple of 100. Collateral money that must be deposited to cover potential losses that may occur in margin trading. A demand for more money to cover trading positions. The date for settlement or the closing date of a contract. A financial instrument that represents a promise to pay. Price a dealer is willing to sell the base currency at. Any deal which has not been settled on buying (long) or selling (short) for a currency pair. A contract which gives the right to buy or to sell at a specified amount and price before a certain date is reached. Order for a broker to buy or sell a certain currency within a specified price range. 100th of 1 per cent. Exchange rate movements are usually cited in terms s of points. The overall exposure to a given currency. It can be flat when there is no exposure, long if more currency has been bought than sold, or short where more currency has been bought than sold. The amount of money gained when a position is closed. A contract which gives the right, but not the obligation, to sell at a specified amount and price before a certain date is reached. An indicative price for information purposes. The amount of one currency in the value terms of another. A price level where selling generally leads to price increases. Identifying and accounting for the risks associated with the market. Foreign currency trading can be affected by interest rates, yield curves, volatility, credit, country events like political changes and wars. Rate at which the seller or bank is willing to sell a particular currency. A market position where the trader has sold a currency that he does not own yet. The difference between the bidding and asking prices of a currency. The currency of the British pound. Also known as cable. An order to buy or sell if a currency reaches a certain price. It will sometimes mean a loss is made, but is to protect against massive losses if a market moves suddenly. Purchases made at the same time for buying and selling the same amount of a currency at different dates. You do not physically receive the currency but get the price differential between the two transactions. An order to buy or sell when a currency reaches a certain price that will give you a profit. It is often combined with stop-loss orders. Analysis based on supply and demand factors that influence a currency. The direction the market is moving in. The amount of money in an account that can be used for trading. A statistical measure of the amount of fluctuations for a given currency over a specified time period. Often measured as the annual standard deviation of historic daily price changes. The party that is selling a position. If you “write a currency” you are selling it. A graph showing the change in yield of currencies and other instruments compared to the time until maturity. A trader who thinks that the EUR/USD price will close at or above 1.2500 at 3:00 p.m. can buy a call option on that outcome. A trader who thinks that the EUR/USD price will close at or below 1.2500 at 3:00 p.m. can buy a put option or sell a call option contract. At 2:00 p.m. the EUR/USD price is 1.2490. The trader believes this will increase, so he buys 10 call options for EUR/USD at or above 1.2500 at 3:00 p.m. at a cost of $40 each. The risk involved in this trade is known. The trader’s gross profit/loss follows the "all or nothing" principle. He can lose all the money he invested, which in this case is $40 x 10 = $400, or receive $100 x 10 = $1,000. If the EUR/USD price will close at or above 1.2500 at 3:00 p.m. the trader's profit will be the payoff at expiry minus the cost of the option: $1,000 – $400 = $600. The trader can also choose to liquidate (buy or sell in order to close) his position prior to expiration, at which point the option value is not guaranteed to be $100. The larger the gap between the spot price and the strike price, the value of the option decreases, as the option is less likely to expire in the money. In this example, at 3:00 p.m. the spot has risen to 1.2505. The option has expired in the money and the gross payoff is $1,000. The trader's net profit is $600. ​Bitcoin is a digital asset and a payment system invented by Satoshi Nakamoto, who published the invention in 2008 and released it as open-source software in 2009. The system is peer-to-peer and transactions take place between users directly, without an intermediary. These transactions are verified by network nodes and recorded in a public distributed ledger called the block chain, which uses bitcoin as its unit of account. Since the system works without a central repository or single administrator, the U.S. Treasury categorizes bitcoin as a decentralized virtual currency. Bitcoin is often called the first cryptocurrency, although prior systems existed[note and it is more correctly described as the first decentralized digital currency. Bitcoin is the largest of its kind in terms of total market value. Bitcoins are created as a reward for payment processing work in which users offer their computing power to verify and record payments into a public ledger. This activity is called mining and miners are rewarded with transaction fees and newly created bitcoins. Besides being obtained by mining, bitcoins can be exchanged for other currencies, products, and services. When sending bitcoins, users can pay an optional transaction fee to the miners. In February 2015, the number of merchants accepting bitcoin for products and services passed 100,000. Instead of 2–3% typically imposed by credit card processors, merchants accepting bitcoins often pay fees in the range from 0% to less than 2%. Despite the fourfold increase in the number of merchants accepting bitcoin in 2014, the cryptocurrency did not have much momentum in retail transactions. The European Banking Authority and other sources have warned that bitcoin users are not protected by refund rights or chargebacks. Currency trading or forex trading (FOReign EXchange) started around 1973. That's when the Bretton Woods system came to an end. Earlier, currencies trading were not very common. Online forex trading started around 2001, and has become even more popular. The currency market is the largest financial market, with an average daily trade volume of over $US 2 trillion. Forex Trading is about 3 times as large as all markets for stocks and futures together. In contradiction to many other financial markets, online forex trading does not have any physical or central marketplace. Currencies are executed electronically by banks, corporations and individuals that are trading one or more currency pairs. Between Monday and Friday, it's possible to trade online forex from 7 p.m GMT. The most active trade sessions are London, followed by New York and Tokyo. The most traded currencies are EUR/USD, GBP/USD and USD/YEN. A small currency, like the Canadian dollar (CAD), has a high spread compared to USD/GBP. The trade volume is in general very high for the big currencies; dollar, euro, yen, pounds and swiss franc. There are two kinds of groups trading forex. About 5 % are from companies and governments, buying and selling products in foreign currencies. The remaining 95 % are market players doing currency speculation or hedging. There are many reasons why online forex trading works so well with technical analysis. For instance, high daily trading volume, low spread and many forex traders use it for every single trade. The most used currency trading indicators are ellioot wave, fibonacci, MACD och RSI. Forex trading can be used for many purposes. The most common might be to diversify a portfolio, hedge an equity or currency position, or trading forex online purely for speculative reasons - to earn money.